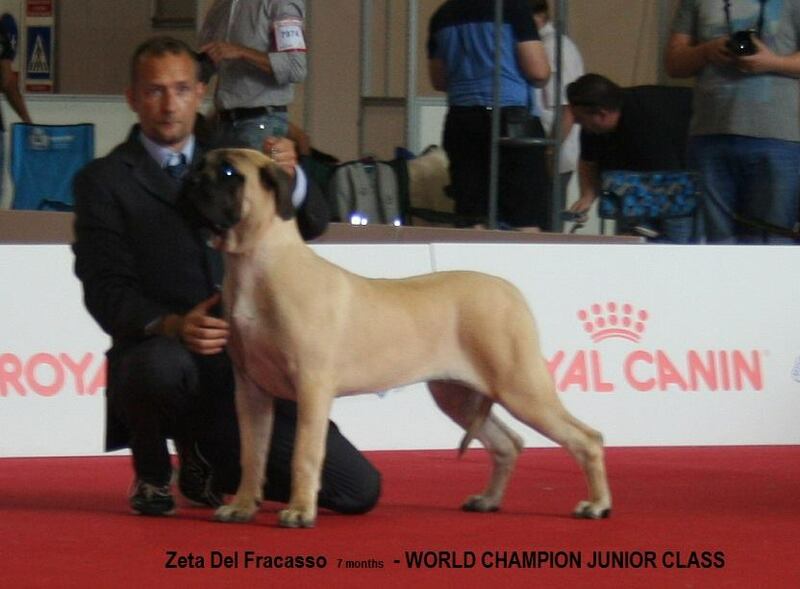 Mastiff from Italy - This Forum is brought to you by The Mastiff Sweet Spot and Friends of the Forum. was a lot of time we don t share nothing on this beautiful message board . 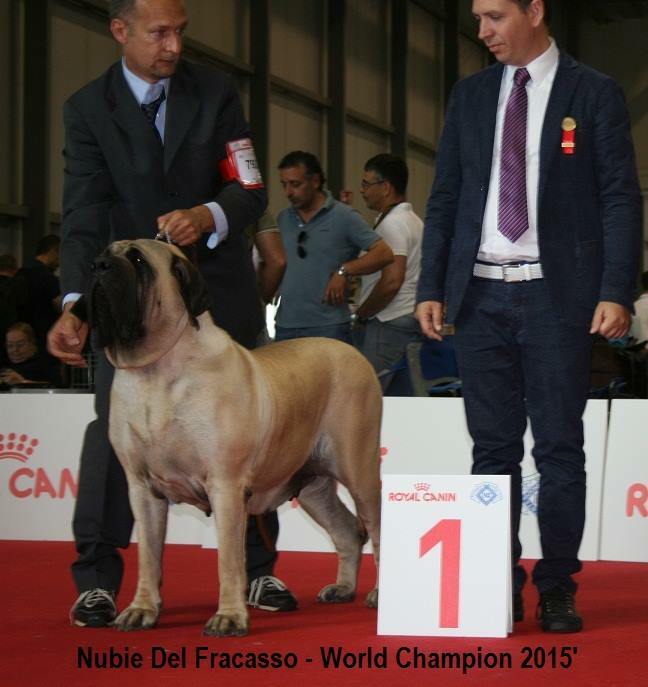 We d like share some pics of our female WORLD CHAMPION 2015' NUBIE DEL FRACASSO 3 yrs old . we are very proud of this girl . 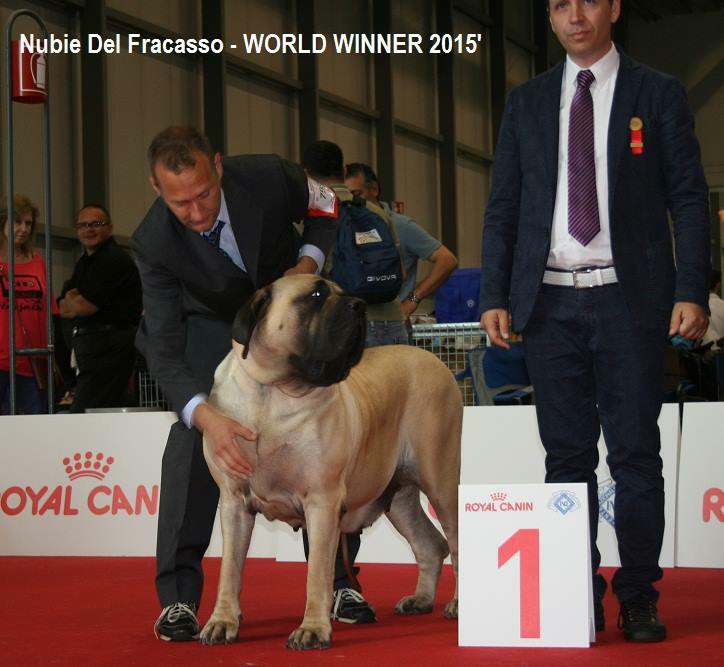 Also our young babies was winner their class at WDS 2015 . Very big congratulations on Nubie's nice win. She is a beautiful girl. It look's like the pups are developing very nicely and enjoy showing. Thank you for sharing your wins with all of us. 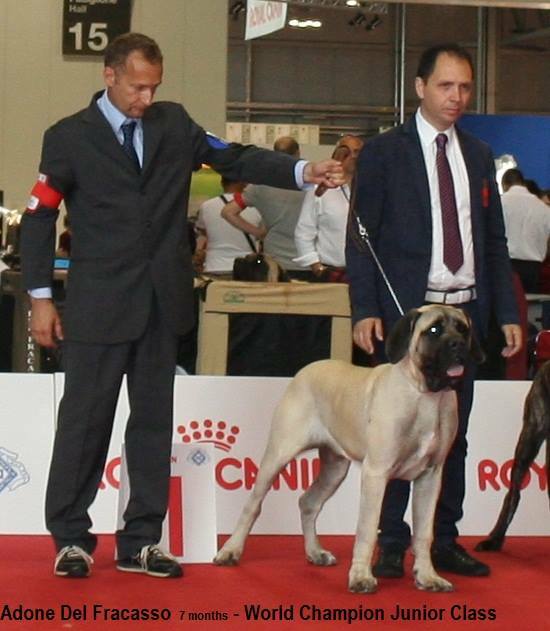 You always have nice quality Mastiffs, and it is good to see them.